Andros. Gray, green and white, the northnernmost island in Cyclades islands. The closest islands are Syros to the South, Tinos, Mykonos, Paros and Naxos to the SW.
Green fields, sandy beaches, slopes filled with fig trees, olive trees and cypresses, lunar landscapes and many natural beauties are some of the pictures composing the beauty of Andros. An island waiting to be explored and offer unique moments of pleasure, to the visitor with its breathtaking beaches that make you think you are the first who discovered them, the sun, the crystal clear waters make it ideal place for peaceful vocations. Andros is a prosperous island, depicting the beauty of life, offering a high standard hospitality. Gavrion and Batsi, both fishing villages until about 20 years ago, have slowly developed, each one complimenting the other. 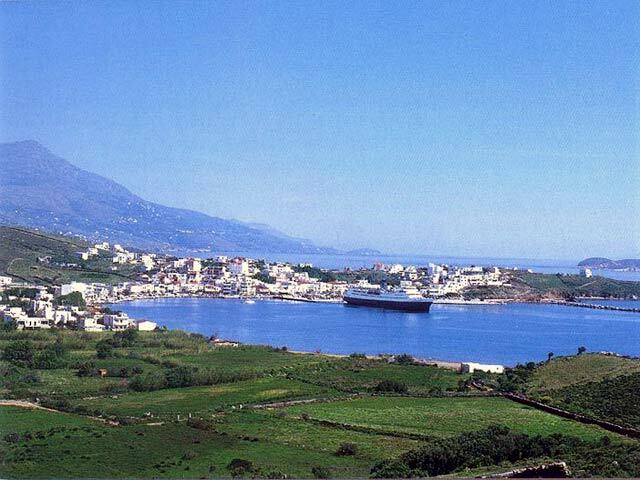 Gavrio had the harbor and Batsi slowly developed its capacity for tourism. Today Batsi and Gavrio are almost joined together both physically and also in their interest to develop touristically. The proof of this is evident in the two small towns and in the 7 km. area between them where there are beautiful sandy beaches, small harbors and hidden coves. The restaurants, taverna's, bars, cafeterias, tourist offices, car, boat and motor bike hire, water sports, jewelry, clothes shops and so on, all combine to make up lively tourist resorts. Most of the hotel rooms, studios and apartments can be found in this part of the island. Undoubtedly Batsi is the lively centre of entertainment with Gavrio a little quieter but lacking nothing. There are many choices of places to stay, none very far from each other, and good local bus and taxi services make it easy to get around. A good summer holiday means sea and sun so try the following beaches : Chryssi Akti beach in Batsi which is a large sandy beach dotted with tiny lily flowers and the pretty, smaller Kolona Beach. On the south side of Batsi is Stivari Beach and further on the beautiful Delevoya and Agia Marina Beaches easily within walking distance. 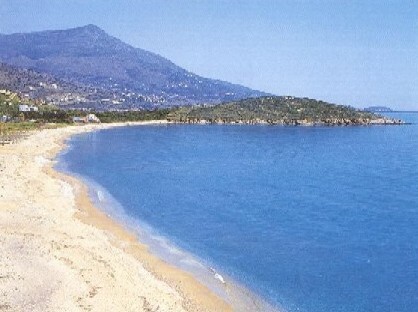 Koutsi Beach, Green Beach and Paleopolis can be reached by small boats from Batsi and for the more daring, by foot. Between Batsi and Gavrion are the following beaches: Xylokarida, Kypri, Psili Ammos, Agios Petros and many small hidden coves. 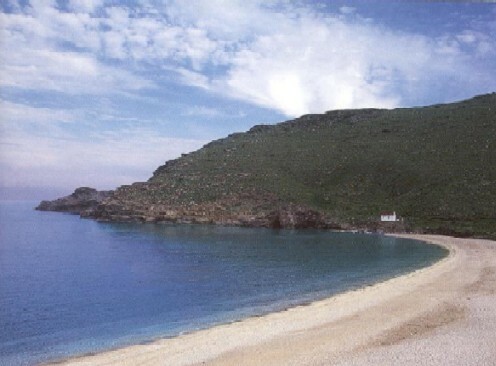 Not far from Gavrio is Felos Beach with a taverna about 100 meters behind it and a little further on from Felos are the beaches of Kourtali and Selki. Andros is a magical world capable of giving you all that civilization has made you lost. Andros a small paradise on earth. 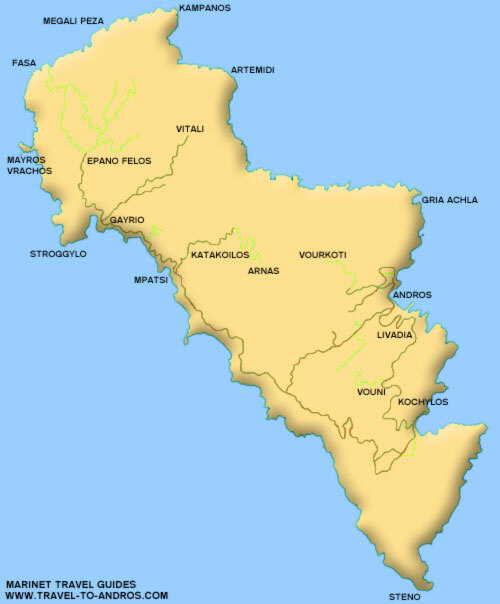 Something else you need about Alonissos?